This image includes top tourist places in India. It also includes important broad gauge lines, meter gauge and narrow gauge lines. 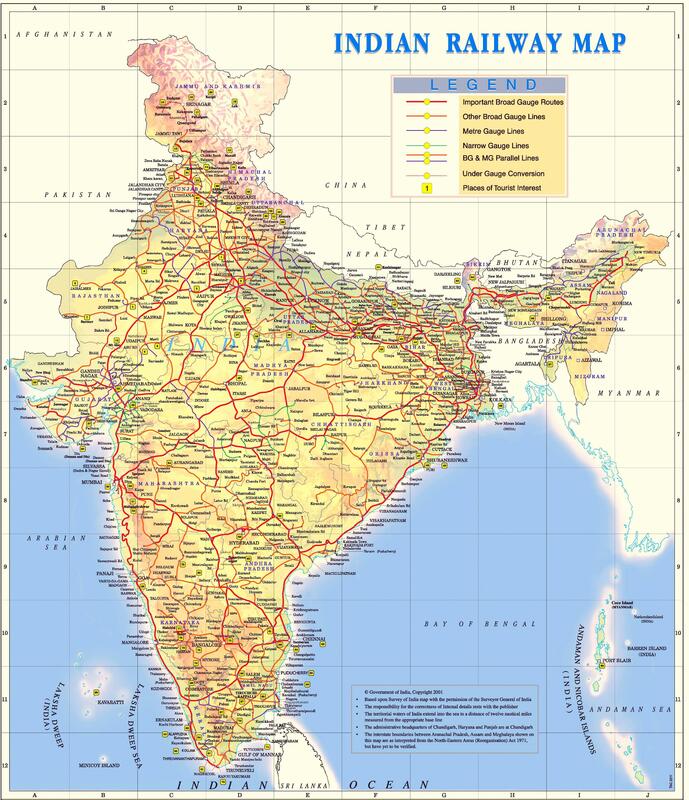 This Indian railway map can help you in making tour plans in advance.